Home / Local / Trending / Viral / Nakakagigil! Teacher Nagwala at Pinunit ang mga Certificate ng Kanyang Estudyante Dahil Lang Dito! Nakakagigil! 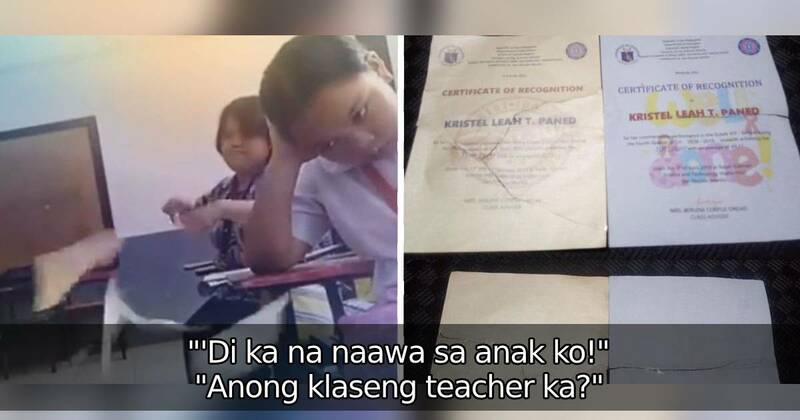 Teacher Nagwala at Pinunit ang mga Certificate ng Kanyang Estudyante Dahil Lang Dito! 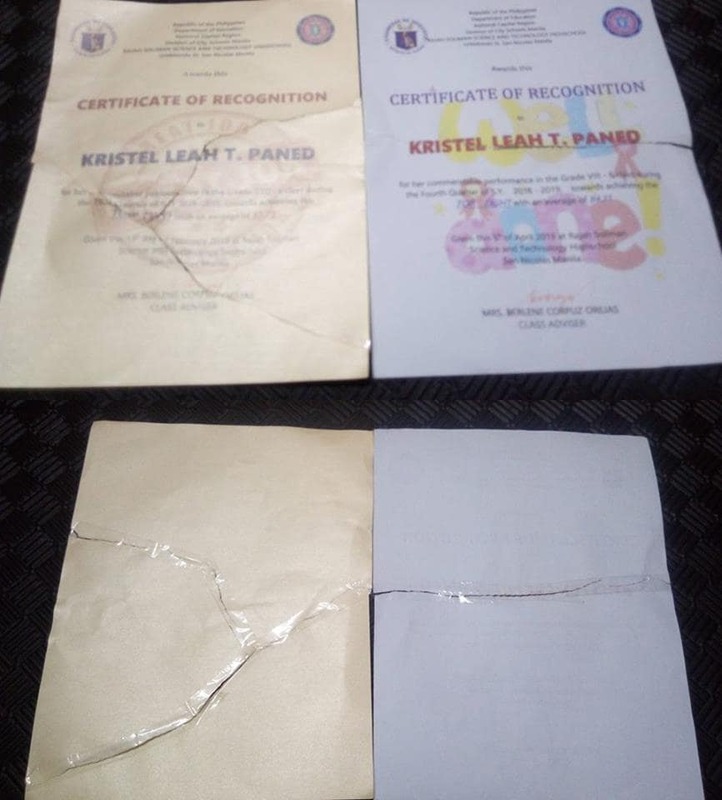 A student at the Rajah Soliman Science and Technology is heartbroken after her teacher tore apart her recognition certificates, which she worked hard to earn for a full year. However, no one is more distraught about this than the student's mother. Rightfully so, too! How would you feel if you saw your own child spending sleepless nights diligently working on her academic requirements-- just for her own teacher to undermine this? That's why the student's mom, Lyn Jo Paned, took to Facebook to rant all about this teacher. Luckily, a schoolmate of her daughter was able to capture the entire scene on camera, so the teacher cannot deny the appalling thing she did. 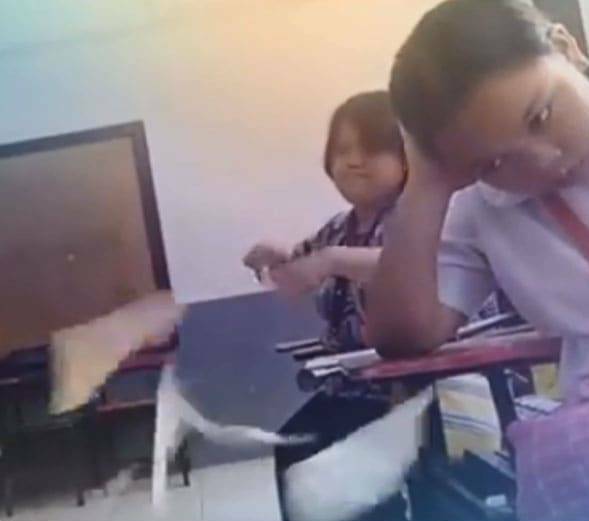 In the video, you can see that in a fit of anger, the teacher tore apart two certificates and threw them on the floor, before instructing other students to go pick the pieces up and throw them into the trash bin! Later on, when Lyn asked her daughter what happened prior to that, the student said something heartbreaking. She said the only thing that frustrated her teacher is the late arrival of her food. Do you think that is reason enough to destroy something that isn't yours-- and something that you didn't even work hard for? 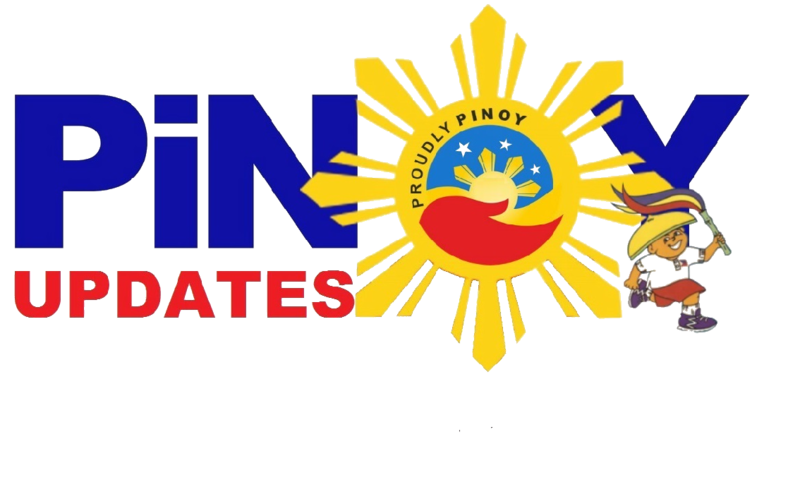 "Ang pinaghirapan ng anak ko ng 1 year para maabot yung ganitong recognition galing sa school at bilang isang magulang proud tayo sa achievements nila pero sa ginawa ng mismong adviser nila na pinunit at saka tinapon sa basurahan ng dahil sa walang kwentang dahilan na na late lang daw ang pagkain. I'm very disappointed sa ginawa niya." Have you ever experienced anything like this from a former teacher? What did you do? If you were in the shoes of the mother, how would you react? Let us know in the comments section below!